“Trilingual empowerment anthem” isn’t the sort of phrase that gets bandied about at record label marketing meetings; but that’s exactly what Sofia Reyes has on her hands with her new single, RIP. Each flits between Spanish, English and Portuguese as they sing about shedding unwanted emotional baggage, before teaming up for the addictive “bim-bari-bom-bom” hook (so it’s actually quadrilingual, if you count gibberish). “I wanted to make a happy song that made you want to dance, but with a deeper message,” says Reyes. The 23-year-old has even been encouraging fans to write down lists of the personal demons they want to defeat. Topping Reyes’ own list are “negative comments” on social media, and the pressure of “trying to fit in” in her adopted home of LA. “But there’s so many things, even celery or pimples,” she laughs. 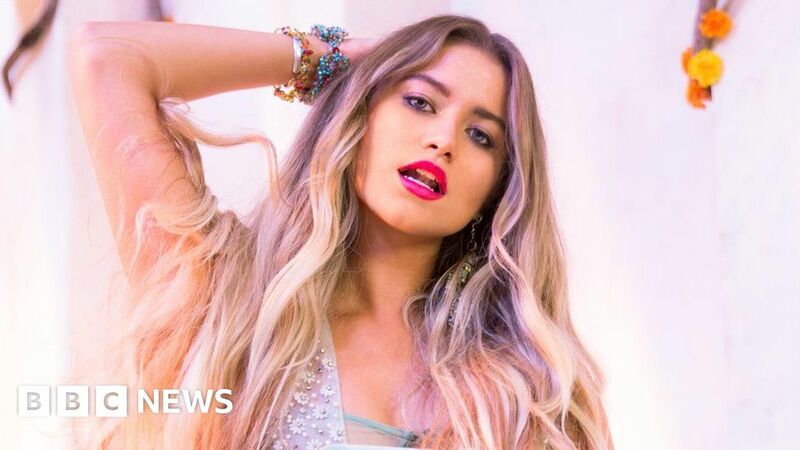 In just two weeks, RIP has racked up 30 million YouTube streams and been added to BBC Radio 1’s “best new pop” playlist, suggesting Reyes has a global crossover hit on her hands. It’s a goal she’s had since she was six years old, being taught piano by her grandmother in the family home in Monterrey, Nuevo León, Mexico. Reyes was encouraged by her father, an amateur musician who “always had his little studio at home” and helped her record an album with her best friend when she was just 13. “We were called Café Au Lait and the songs were all beautiful ballads and pop songs – but we never put the album out,” she recalls. “I decided to move to LA as an independent artist when I was 17,” she says. “I didn’t realise it back then but, if I think about it, I was very little. The move was a certainly a gamble: Reyes didn’t know anyone in the city except her managers, Charlie and Paloma, who’d come with her from Mexico. “It was tough in the beginning,” she recalls. “It’s not like I came here to go to school, where you would make a new set of friends. It took me two to three years to feel like LA was home. At the same time, Reyes started posting cover versions to her YouTube channel, mixing Western hits like One Direction’s What Makes You Beautiful with Spanish-language fare such as Reyli’s torch song Qué Nos Pasó. “It was a challenge, because people were not used to listening to bilingual songs,” says Reyes – but her voice and charisma soon captured the attention of bachata star Prince Royce, who signed her to Warner Music under his D’Léon Records imprint. A duet between the pair, Solo Yo, topped Billboard’s Latin Pop Songs chart in 2016 (ending a five-year drought of women at number one); and Reyes swiftly became the biggest Mexican artist on Spotify, with 11.9m monthly listeners. Last year, she recorded the country’s official World Cup anthem, Vamos por la Estrella. Having conquered the Latin market, she’s got the rest of the world in her sights for 2019. RIP comes hot on the heels of the Jason Derulo collaboration 1,2,3 – and both highlight Reyes’ multilingual approach to pop. The style evolved naturally from the way she speaks to her friends in Mexico but there’s a commercial consideration, too. “I knew that, obviously, English is a language that more people around the world understand,” she says. Taking a step back, she says “it’s honestly harder for me to write in Spanish” because it’s too easy to “sound cheesy”. “But I like the challenge of writing in Spanish and English. Going back and forth, I find it really exciting. “And in this case, with RIP, having Anitta from Brazil and Rita from the UK and me from Mexico, it just felt super-inspiring.